I recently had a revelation: We love hippos. In our home, we have a lot of hippo-related books and toys. I'm sure we have an equal amount of puppies and bunnies and kittens, but hippos are just so much more fun than domesticated animals. Right? Right. 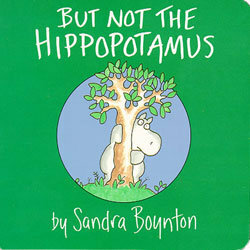 Sandra Boynton is the undisputed Queen of Hippos. If hard pressed, I might even admit that Ms Boynton is the Queen of Everything, we love her so. 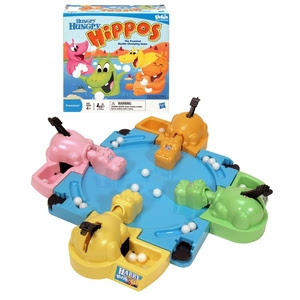 Hungry Hungry Hippos: because greed and instant gratification is precisely what we need to teach our children. That, and it's really fun to slam the hippos' backs and catch those balls. 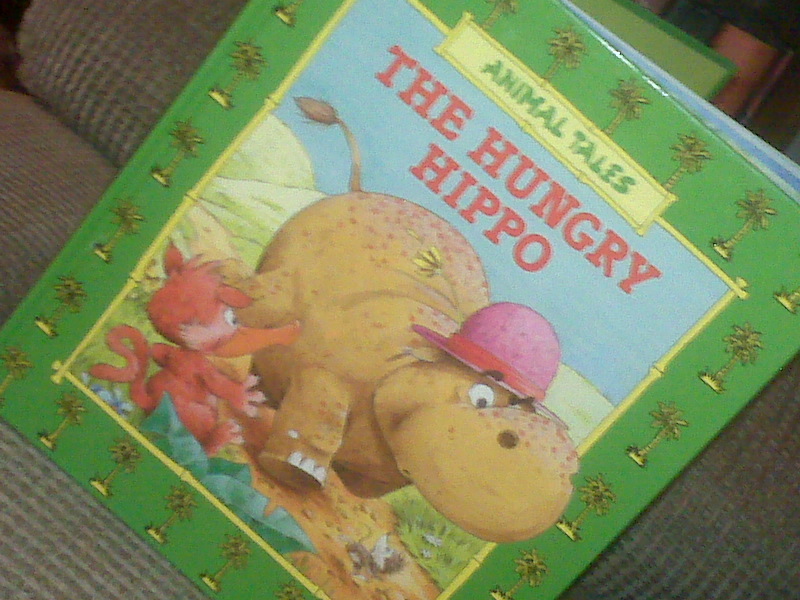 The Hungry Hippo, an Animal Tales book﻿. I had to take a picture of this book because apparently, there wasn't one on the whole internet. My brother and I read this copy over and over when we were little, and now my Bees love it too. 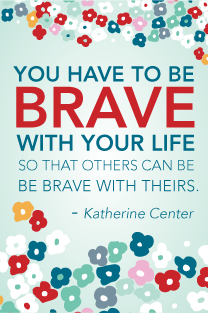 It's a cute book with a good moral spin. Something about not stomping on your friends when you get mad. Or hungry. Maybe. We don't own this book, but the old Christmas song has been on repeat. The Bees are obsessed with it. I am bordering on sheer unadulterated hatred. 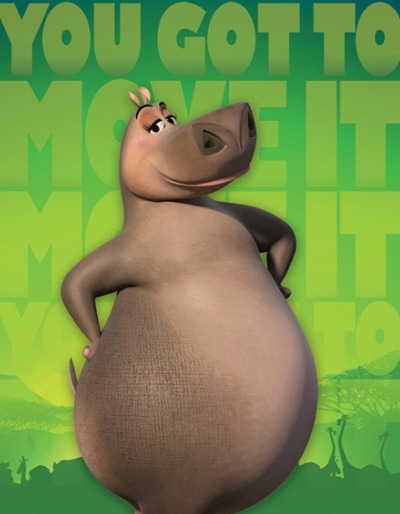 Madagascar 2: featuring Gloria, the sassiest hippo around. Also, she is wooed by a hilariously smooove dude, voiced by will.i.am., which is always awesome. Clare Beaton's textured graphics are gorgeous in Hidden Hippo from Barefoot Books. You can buy it right here (from me! ), and if you purchase the $5 edition, it will ship directly to a school library in Africa! 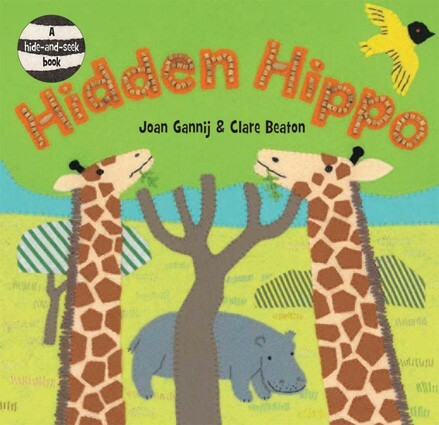 This is, without a doubt, the best hippo book ever. 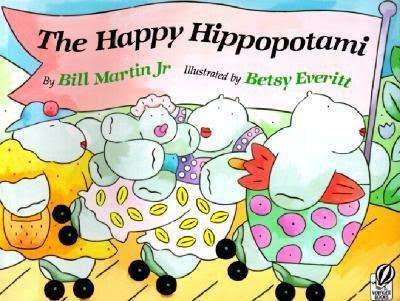 Happy Hippopotami shows ridiculously rotund hippos on "a hippoholiday in the merry month of May." Lines like "Happy hippopotami, on a sunny beach do lie..." and "Happy hippopotamamas wearing pretty beach pajamas..." crack us up. Bill Martin, Jr is a genius and Betsy Everitt's illustrations are unbelievably cute. Yes. 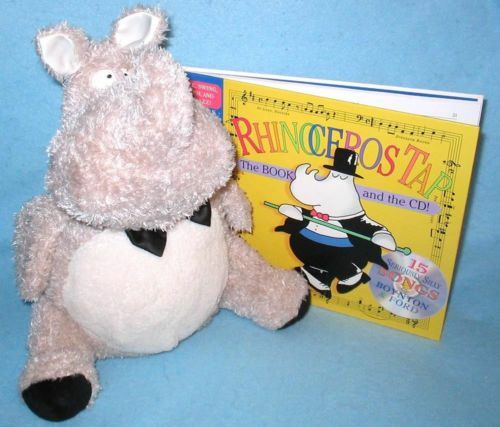 I realize that this is a rhino, and therefore not a hippo, but The Girl has this stuffed guy (and the Rhinoceros Tap book) and loves him hugely. See also: Sandra Boynton is the Queen. 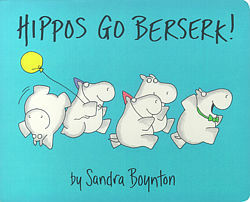 We love Sandra B. and her Hippos at our house, too. 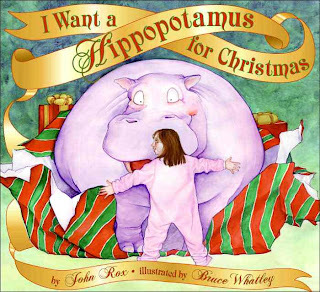 Our favorite Hippo book of hers is The Belly Button Book (bee boo!). We also love The Happy Hippopotomi, and we've asked Santa to bring us some hungry, hungry hippos. I'm thinking that book of yours that you can't find on the internet might be worth some monies. Surely there's a rare-hippo-book collector out there somewhere? !